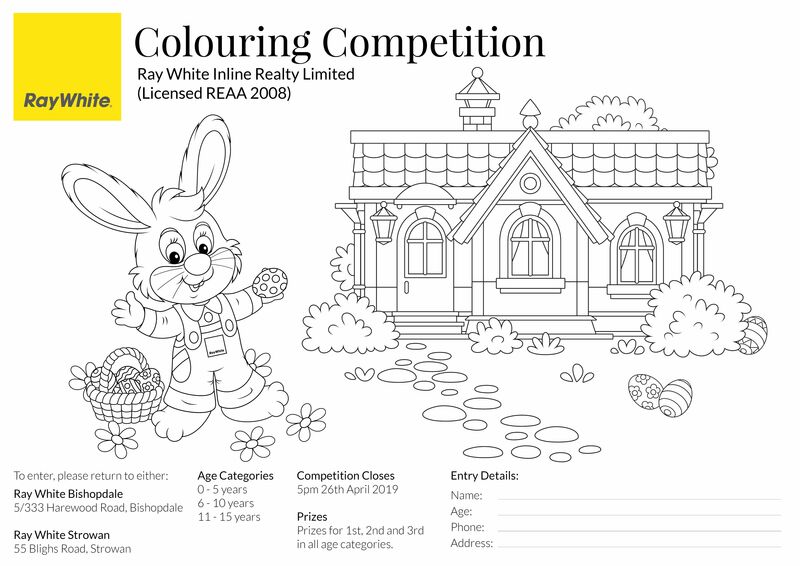 Our colouring competition is up and running again for 2019! We had some wonderful pictures returned to us last year and looking forward to seeing what this year brings! All entries must be returned to either Ray White Bishopdale or Ray White Strowan by 5pm Friday 26th April 2019. Feel free to pick up a copy from either of our offices, print the image below, or use the contact form below to request a printable PDF version.